Florida’s 2018 Legislative Session closed on Sunday, March 11, following a brief extension to consider and vote on the state budget. 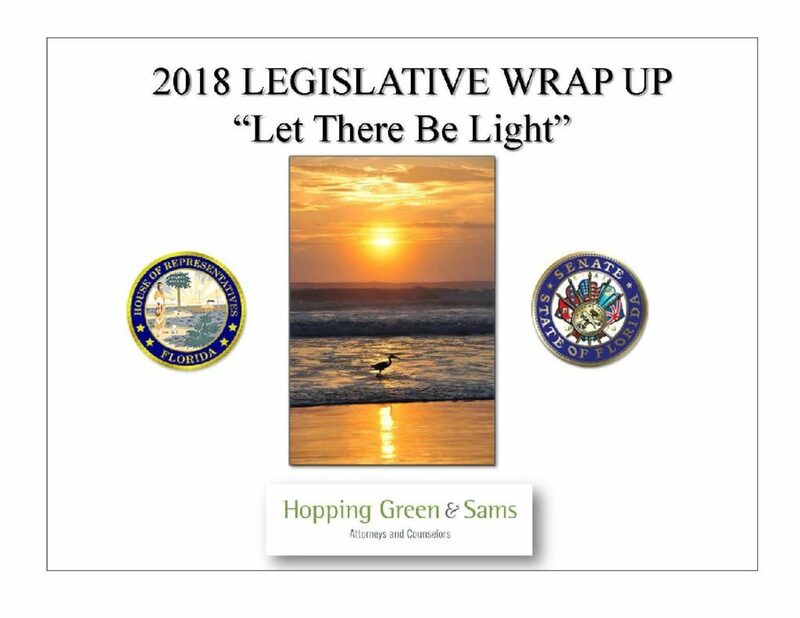 The Hopping Green & Sams (HGS) legislative team of Gary K. Hunter, Jr., David Childs, Cheryl Stuart, Brittany Dover, and Woody Simmons had another successful year advocating on behalf of various clients. For a more complete review of matters important to HGS’s clients, please review the HGS 2018 Legislative Wrap Up.